Remarks: Looking for New Home? So well maintained feels like New. 9 ft Ceiling ML & UL. Beautiful lot backing to privacy fence and heavy woods. So Many Upgrades. 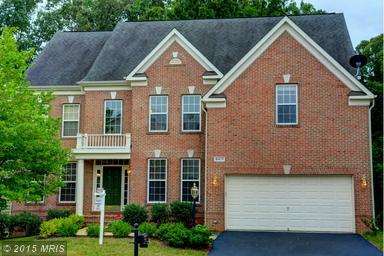 Hardwood Flooring, Granite Counters, Stainless Appl., Convection Wall Oven, Stone Back Splash, Two Story Foyer, Voluminous Two Story Family Room w/ Gas FP and Back Staircase, Main Level Den, Master Sitting Room, Walk-up Daylight Basement, All Gas. Directions: From I-95, take Exit 163 Lorton, Right on Lorton Rd, Left on Windmere Hill, Left on Whitehaven to home on Right.